Today, we are comparing the Xiaomi Redmi 6 Pro with the Xiaomi Redmi Note 5 Pro to see which one is worth your money. 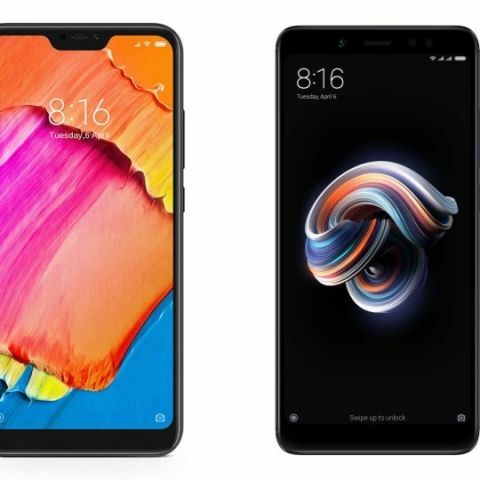 Earlier this month, the Xiaomi introduced three new smartphones in India, the Redmi 6A, the Redmi 6, and the Redmi 6 Pro. All three smartphones are priced under Rs 15,000 in India. The most premium smartphone of this lot is the Redmi 6 Pro. The smartphone runs on MIUI 9.6, which is based on Android Oreo and has features like AI-powered face unlock, fingerprint sensor and more. The smartphone is priced at Rs 12,999 for 4GB/64GB variant in India, and this price point brings it awefully close to the Xiaomi Redmi Note 5 Pro, which is available for Rs 14,999 on Flipkart. The Xiaomi Redmi Note 5 Pro sports a 5.99-inch display, while the newer Redmi 6 Pro sports a slightly smaller 5.84-inch display. However, the Redmi 6 Pro offers a better resolution than it bigger sibling as it offers a resolution of 1080 x 2280 pixels as compared to the Redmi Note 5 Pro that has a resolution of 1080 x 2160 pixels. When it comes to the performance, it is quite surprising that the company decided to equip its new device with a Qualcomm Snapdragon 625 processor, while the 'older' Redmi Note 5 Pro comes with a Qualcomm Snapdragon 636 processor, which is more powerful. Both these devices have a dual 12MP + 5MP camera setup at the back. However, the Xiaomi Redmi Note 5 Pro might be the preferable option for those who love to take selfies. The device has a 20MP unit on the front in comparison to the Xiaomi Redmi 6 Pro, which has a 5MP front camera. It should be noted that the Xiaomi Redmi 6 Pro is available for Rs 10,999 while the Xiaomi Redmi Note 5 Pro is priced at Rs 14,999, which is Rs 3,000 more than the Xiaomi Redmi 6 Pro.